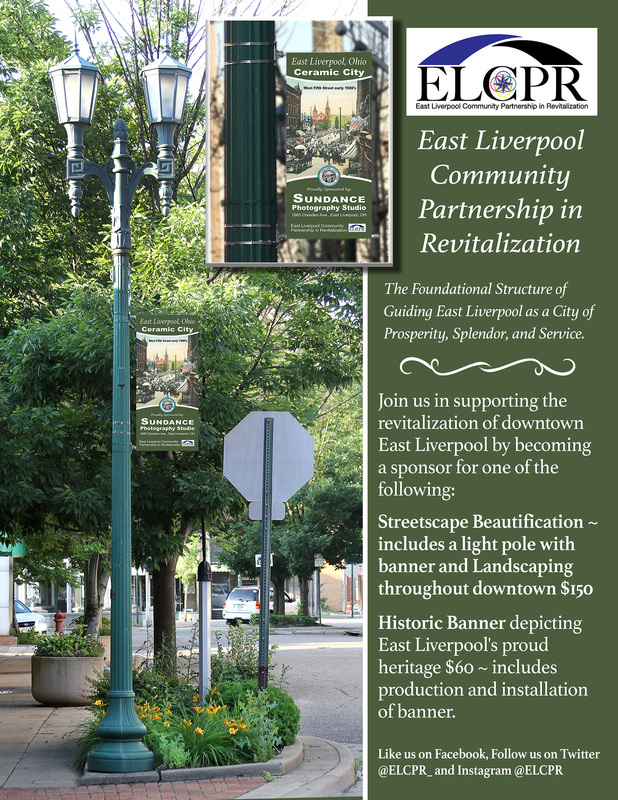 STREETSCAPE BEAUTIFICATION BANNER FOR $150! The Board of Directors of ELCPR have established numerous committees to serve many different areas of our community and they are always looking for volunteers. Click below to join our email list and to see what all our volunteers have already accomplished. We all have unique and special talents, and ELCPR specializes in putting those talents to work for the betterment of our entire community. We are looking for people like you! Click below and join the movement to restore East Liverpool. As a not for profit, everyone within the organization is a volunteer. That means ELCPR is in need of financial support from individuals and corporations. Click below to see how you or your organization can help us financially.